October 4, 2011 | katie m.
Did anyone else read that book growing up? It was one of my favorites in sixth grade. I either wanted to be Kate Bloomfield or have her as my best friend … and it holds up quite well, I’d say. Or at least it did, the last time I was at home and read it again. So, hey. Here I am. Things are hectic. I’m applying for jobs. Real jobs, that require a PhD. That’s scary stuff. I miss my knitting time. I miss you guys. So here I am, taking Philippa’s advice and knitting some log cabin blankets for all the babies arriving later this fall. It’s very satisfying, meditative — and squishy — knitting. 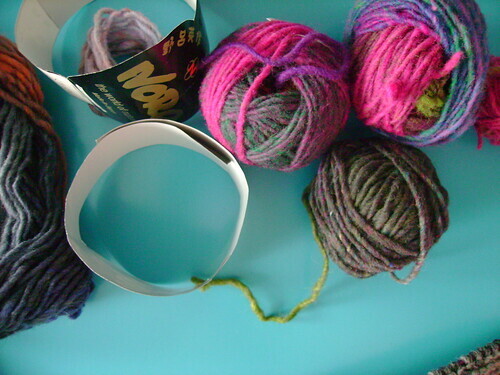 The Noro makes it exciting. And babies need things made with love. Just the ticket for my rather frazzled self. Which is precisely my feeling about the Alison Krauss station on Pandora. Why did I not discover Pandora until yesterday afternoon? Why are Dolly Parton and Loretta Lynn and Gillian Welch so good? Sigh. Questions for the ages. Right up there with why is Noro so pretty. Posted in babies, bloggy business, knitting, something new?, stripes! I can’t speak on Noro or log cabin blocks, but I LOVE your taste in music! I owe you some music. Stat. I may also need to copy this log cabin baby blanket plan. Several arriving in my universe this year… This is gorgeous already! 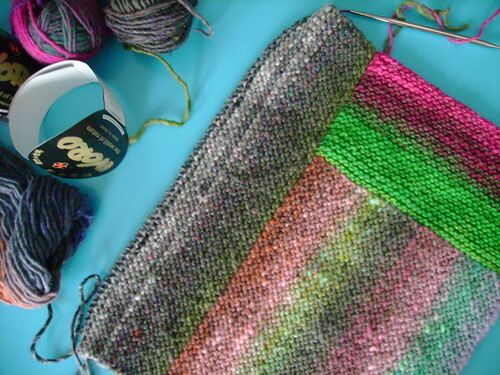 I am loving that Noro! Great combinations. Which Noro are you using? Wow! Best of luck out on the job market. Hooray for the end of grad school being in sight! 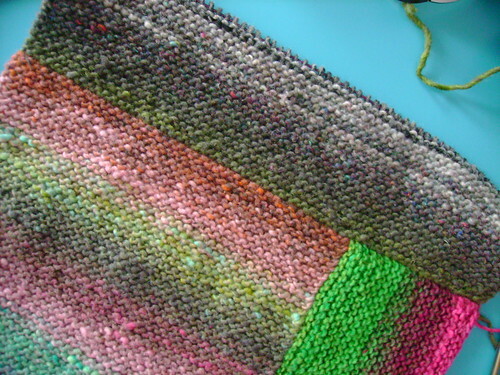 Love the cozy Noro blanket. Aren’t those log cabin blocks fun to knit?